A mall floor plan drawn with Edraw mall floor plan software is presented below. 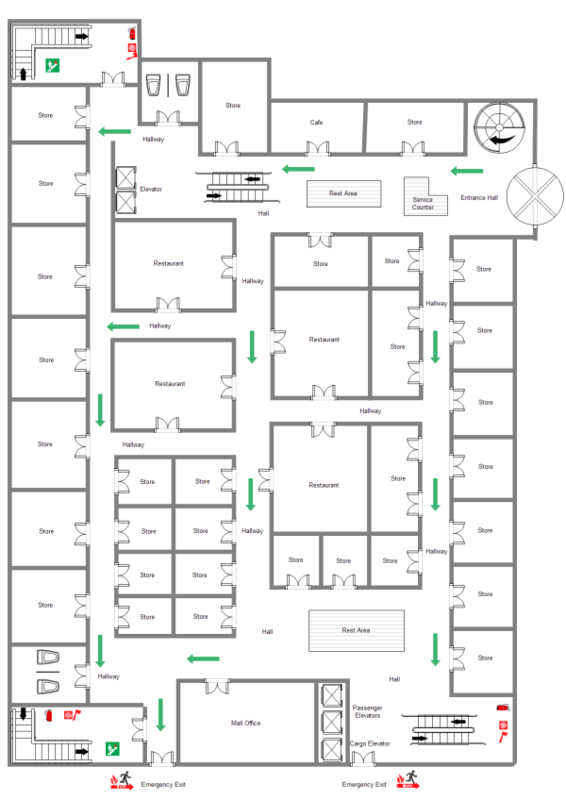 Users can use this easily customizable template to quickly create their own mall floor plans. Mall Floor Plan template can save many hours in creating great mall floor plan by using built-in floor plan symbols right next to the canvas. 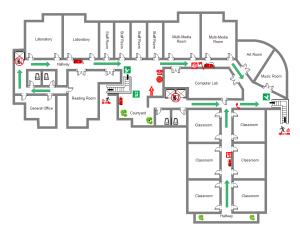 You can download and modify the mall floor plan for your own use. Discover why Edraw is an excellent program to create mall floor plan. Try Edraw FREE. A great way to start a school layout is using a ready made template. Thus this template is provided in vector format for fast and easy school layout design.